Thanksgiving has not snuck up on me exactly, I knew it was coming. It has been a deadline in my sights for a while now, and I knew exactly how close it was. I knew that I had family coming in from all over the country, and I knew I had some emotional work to complete before it arrived. I could see the clock ticking on the back of my eyes, but never did I take a moment to do anything other than that emotional work. I completely forgot that I needed to make preparations to actually host the days meal for both sides of the family, I forgot that as a business owner I should have already ordered my imprinted Christmas cards, and I forgot that my Christmas Club account is waiting on me and I have not even begun to consider a single gift for anyone. When I realized how behind I am, (and that I haven’t had a clean house since we lost the cleaners this summer), I had a small full-fledged panic attack. So, my initial instinct was to take shortcuts, buy prepackaged foods, and pass off someone else’s pies as my own. So I surprised myself when I carved out time to make the hour long drive to Whole Foods. I carefully selected my free range turkey that I am going to “fry” in my oil-free turkey fryer. I took the time to pick out lots of vegetables, whole wheat bread crumbs, and organic dairy. I spent a week’s pay at that blessed grocery, but I am going to serve a complete and wholesome dinner for my family. The weight-loss benefit for me is that afte r doing this type of serious cooking, I never actually want to eat myself. If I do actually make myself a plate, at least I know that it is only the best food that I could put together. It has been a long time since I have made my own dressing, and I have been ordering out our Cajun turkey for years, so this is going to be fun. I will probably flop a dish or two, and my Dad is going to look for anything not-organic or made with white flour and high fructose corn syrup, but my family will be here to make fun of me so it will all be worth it. Now, I have been writing for Mamavation Mondays for a while, and I have never entered into the blogging carnival contest that we have every week. 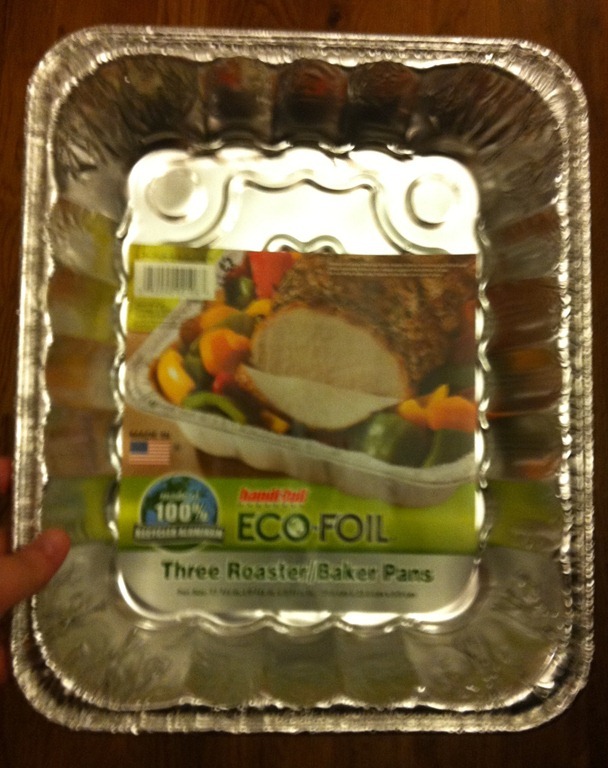 However, having just bought my Eco-Foil to do all of my Thanksgiving dishes in for easy clean-up and still keep my eco-kid off my tail, I felt like it made sense to enter this one. Eco-foil wants to know what my plans are for not over-indulging during Holiday feasts, and I already covered some of that above before I even knew about this contest. So I will re-cap my strategy just for them. My plans usually include doing as much cooking as I can so that I no longer have an appetite when it is time to feast. I also believe in sampling little spoonfuls of anything that I feel like I cannot like without, and the last part of my strategy is to have so many yummy veggies that there is little room for anything else. You know, it crept up on me too. I somehow lost a week of November along the way and now BAM it’s here! It sounds like you’ve got it all together – that is definitely going to be an awesome meal! I’m the same way you are when I cook bunches, so I can totally see how that plan will work. I hope you have a fantastic week! Don’t forget eating is important for weight loss. Its a miss step I’ve had for years. So proud of you for carving out time to make great healthy foods and this oil free fryer has my intrigued. Glad you are working on the mental & hope you catch up with the other things on your plate. I’m in serious denial that this week is Thanksgiving already, it seems like 2011 just started and before we know it, it will be 2012!!! Doesn’t seem possible. I do all the cooking for Thanksgiving as well, and I’m the same way as you, by the time I cook and serve everything, I’m not hungry enough to eat, I just want to crash instead!! It is easy for me to tell you not to stress but we are not surrounded by our family on Turkey day which seems to be a stress trigger for many. I can vouch that paying out the a$$ for a turkey does make you appreciate it greatly for its life and how you consume it. Kind of hard to overeat when you pay $6+/pound. Enjoy your feast and how you mindfully consume all of it. Have an awesome thanksgiving! Sounds like it will be wonderful and fun with family. 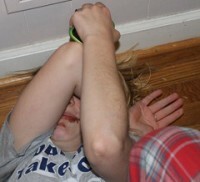 Wish we were getting to spend it with extended family this yr, but nope. we weren’t invited. they are all going to PCB. that’s okay we couldn’t afford the trip even if we had been.. but it’s the thought that counts. oh well. So we are spending it on our own. we are going to try and find anyone who would like to come spend it with us… (friends from church.etc) If not we will be hanging by ourselves this yr but that will be relaxing. Good for you for making a healthy and nutritious meal for your family. Have a blessed holiday! Enjoy your time with your dad! I miss my Dad so much. thanksgiving, this time of yr makes me think of him.